Located directly across the street from its corporate headquarters, Xcel Energy’s expansion will create a two-building office campus for the company in downtown Minneapolis. The second building, which will be connected to the first and The Nic on Fifth® via skyway, will be 222,000 square feet and nine stories. 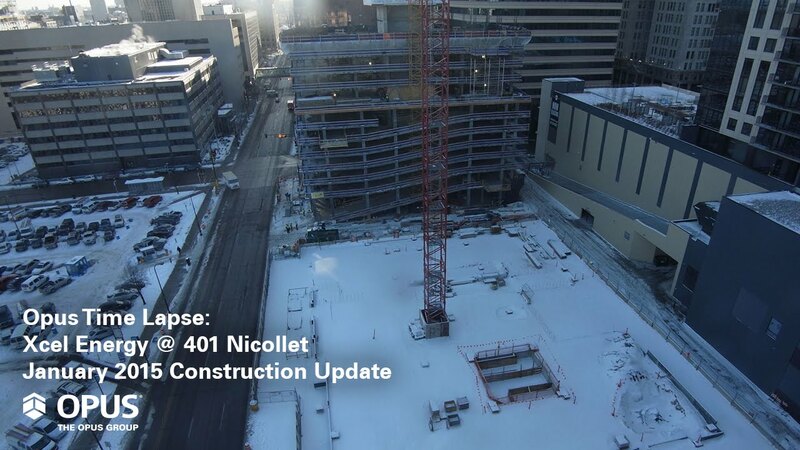 With a longer than necessary construction timeline, Opus began demolition in spring 2014 in order to complete foundation work and bring the site up to grade before the frigid Minnesota winter set in. After erecting the tower crane, construction was halted as planned. This measure will help avoid winter construction costs and help the bottom line for Xcel. Construction will resume as planned in February. Filed Under: Construction, Minneapolis, Office Development & Construction, Opus Design Build, L.L.C.